Chris Bellusci and Blair Deaver recently joined Aspect's Bend, Oregon office. Here are five questions we asked to get to know them better. Chris hiking near the Maroon Bells -- two peaks in the Elk Mountains in Colorado. I was born and raised in Missoula, Montana on a small ranch, where I developed my love for the outdoors and our natural resources. From Missoula, I moved to Seattle where I spent 10 years going to school, working, and exploring all the great outdoor activity it had to offer. But I felt I needed to get back to something a bit smaller in city size (and more sunshine) so I moved to Bend, Oregon, a place I really call home and have loved it ever since. 2. What inspired you to pursue data infrastructure? What made you curious about it? My degree is in Electrical Engineering, but my first job right out of school was for Boeing Aerospace where I supported the hardware and software that developed the first design-by-wire aircraft, the 777. I saw the power of how technology can revolutionize an industry or a way of doing business. This set my path into the world of software. My focus is helping industries solve their complex business problems by applying technology solutions. My real belief is business process should drive the technology approach, which is why I enjoy learning so much about our client’s business and helping them to find the best solution to meet their business needs. I believe that applying technology to better manage our natural resources is the next great frontier. Being outside!!! I love Bend because of the four seasons it has to offer and I love being outside in each one of them, whether if it’s 90 degrees in July or 10 degrees in January. Hiking, biking, camping, skiing--I enjoy all of it! It has been over 15 years since I have visited Europe and I would like to get back there again this time with our two children. I would like them to see and experience other cultures, plus I have an older brother that lives in London, UK, so a good excuse to go. Blair riding the Jem biking trail in Utah. I grew up in Washington, D.C. 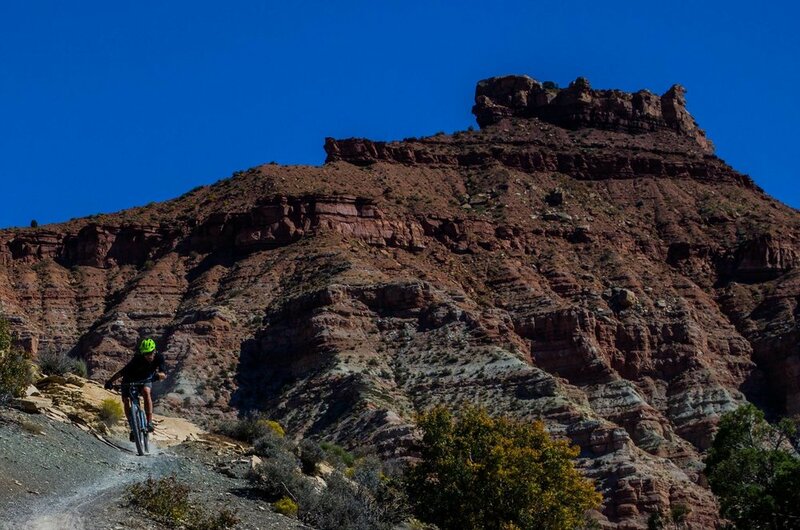 I fled west for college in search of real mountain ranges I could explore on my mountain bike. 2. What inspired you to pursue GIS and IT? What made you curious about it? When I was going to school at the University of Oregon I worked part-time for the US Forest Service as a Hydro-technician in Oakridge, OR. I was a seasonal employee with aspirations for a full-time field job. I quickly determined that a full-time job would be difficult. A peer at the time mentioned to me that if he were me, he would learn everything there is to know about this thing called “GIS”. I quickly transitioned much of my school focus to Geography and GIS. I was fascinated by GIS and quickly learned all I could. When I graduated college, I was fortunate to get a job at Esri in Redlands, CA. I went from working in the woods for 10 hours a day to helping Esri customers solve technical problems behind a desk. The transition was a bit rough at first, but I have loved every minute of it. I love the pairing of earth science + technology to solve real problems. I enjoy working with others to focus on the mastery of understanding a problem rather than quickly jumping to an engineering solution. I have worked over 20 years in the geospatial and IT industry. I have seen lots of change in the industry. What motivates me daily is to always keep learning. Being able to design and deliver technology solutions for earth science customers requires technical agility, creativity, and a solid understanding of the problem you are trying to solve. I love being a father and husband. You may also find me riding and racing my bicycle on trails throughout the PNW. I also love trail running and winter sport activities. I would love to travel to Africa. All parts of Africa. I better save up my vacation. Science and engineering insights fueled, managed, and clearly communicated through technology. This sums up Aspect's successful client-focused approach since our inception in 2001. This year, we’ve enhanced the technology piece of this formula by adding three new staff, with over 10 years working together, focused on software development, technology integration, and geospatial data science. Chris Bellusci, Associate Business Systems Architect, and Blair Deaver, Senior Geospatial Data Scientist join Aspect’s recently opened Bend, Oregon office; and Mike Mills, Senior Project Software Developer, joins Aspect’s growing Portland, Oregon office. These three will enhance Aspect’s already robust Data + Mapping services—helping our clients and project teams with solutions like map-integrated stormwater monitoring dashboards; environmental data management system design and integration; technology needs assessment and road-mapping; web map and GIS application development; integrated systems for mobile field data collection; and the development of machine learning-based approaches to basin-scale hydrology issues. Chris has been working in the world of IT/software development, support, and product management for more than 20 years, with an educational background in Electrical Engineering. For the past 12 of those years, Chris has been helping clients plan for and build technology-driven solutions related to earth science problems. He is a seasoned project and client manager with a penchant for new business development. Blair Deaver’s educational background is in Environmental Studies and GIS. His geospatial expertise is both broad (everything from open source GIS, scripting, mobile development, dev ops, data management, enterprise IT) and deep—he is a recognized Esri GIS expert and is Amazon Web Services certified. Blair is known for an incredibly nimble style of problem-solving, a trait that meshes well with Aspect’s overall approach to client services. 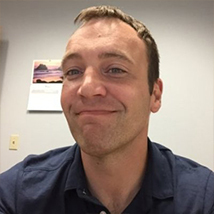 Mike Mills’s core expertise/background is in web and database development—he’s done everything from statistical analysis (writing custom kriging algorithms for in-browser spatial analyses) to mobile application development. He’s a full-stack developer with a decade of experience delivering solutions for earth science and engineering projects. Mike’s educational background is in Mathematics and Computer Science. Chris, Blair, and Mike all joined Aspect from GeoEngineers, where they had previously worked as a team for the better part of 10 years. Together—with Associate Water Resources Engineer, John Warinner—Chris and Blair make up Aspect’s new Bend, Oregon office. With Mike joining Aspect’s growing Portland office as well, Aspect is continuing its earnest expansion into the Oregon earth + water market. The experts who are part of Aspect emerging Oregon presence service all the firm’s core practice areas—and are collectively a reflection of Aspect’s multidisciplinary approach.